The Iowa Hawkeyes were disqualified from the Marquette Intercollegiate last week after being involved in one of the more bizarre and convoluted rules snafus you will ever read about. Iowa freshman Gonzalo Leal was tied atop the leaderboard going into the 12th hole, a blind, downhill par-4, when he hit an errant drive to the right that he suspected would be lost. Leal hit a provisional and ultimately found two balls in the distance, one that he believed to be his provisional ball and one that he believed to be the drive of his teammate, Lucas Becht. That discovery led Leal to suspect that his ball had landed in a nearby hazard. Unsure of what to do in the situation (his provisional ball would not be in play if his original shot was in the hazard), the freshman invoked Rule 3-3, a two-ball provision that allows a player to hit two balls in uncertain situation and receive an official ruling after the round. Leal hit both balls onto the green and Becht also found the green with his approach shot. But when the teammates arrived at the green they noticed that all three balls were Leal’s. It turns out, somehow, that the ball Becht struck for his second shot was, in fact, Leal’s provisional ball and that the ball Leal had hit for his second was his original tee shot. Both players finished the hole. Becht dropped, re-hit his shot and putted out, while Leal, thinking that he could now just solely play his original ball, abandoned his provisional ball and completed the hole with his first. In doing so, Leal finished the hole with neither the provisional or dropped balls he had declared upon invoking Rule 3-3, and that was enough to earn him a DQ. “By hitting his original ball, he actually hit the wrong ball,” said Iowa head coach, Tyler Stith. 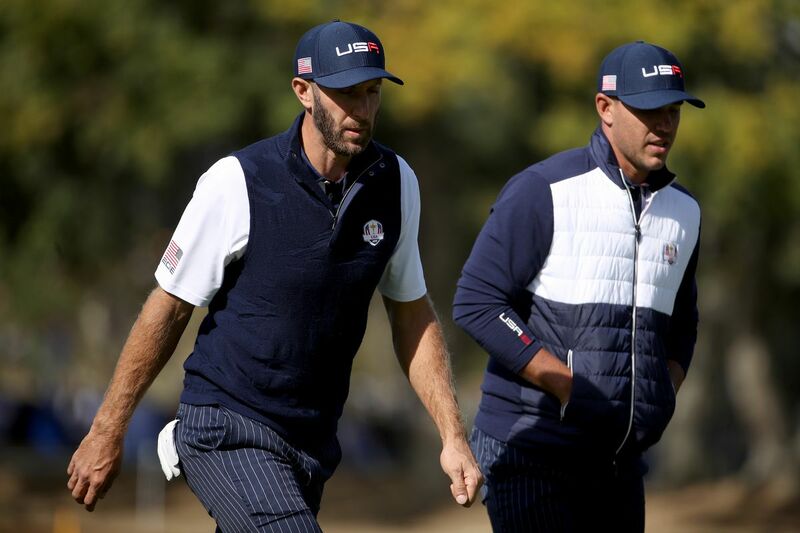 “And since he didn’t correct the mistake and abandoned the other ball, he had no score for the hole and was disqualified.” Already minus one of its five players due to illness and unable to post four official rounds, Iowa was also disqualified from the event. The result drastically dropped the Hawkeyes from 14th in the country to 49th overall. Ouch! Having neighbours who also love golf is an asset. Having your next-door neighbours who love golf so much that they are willing to combine their backyards with yours to create a short game facility that is the envy of the entire neighbourhood—well, we should all be so fortunate! Holy moly! This is some ridiculous hand-eye coordination for a 10-year-old. At that age, most of us were struggling to just get the ball in the air! Pulling off a T.C. Chen with your driver is impressive enough, but losing distance as a result is just simply remarkable. Kudos!